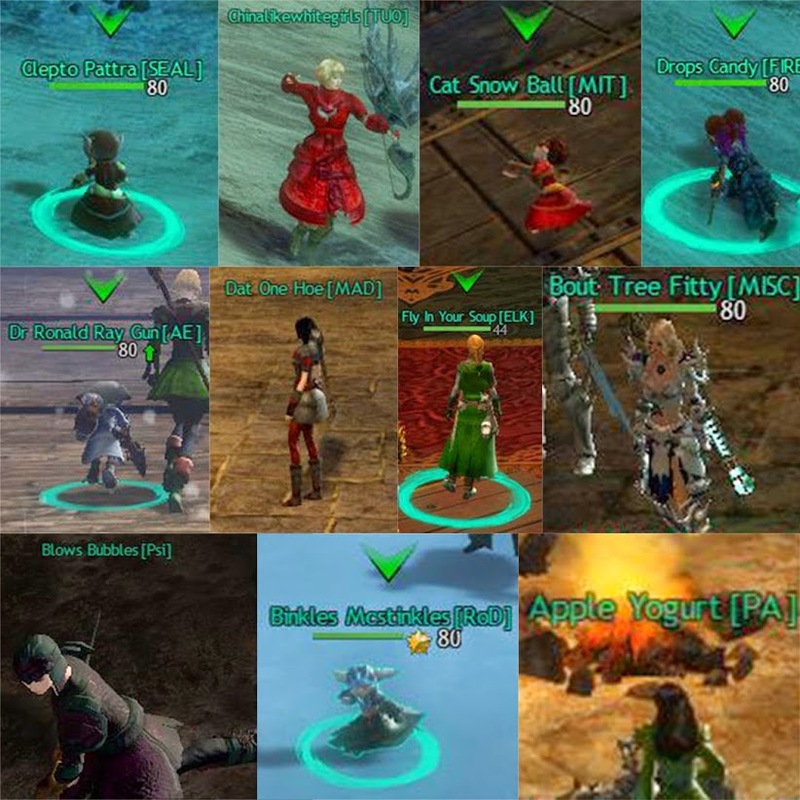 Call it a hobby within a hobby if you will, but one of my favorite activities within the MMO landscape is collecting screenshots. 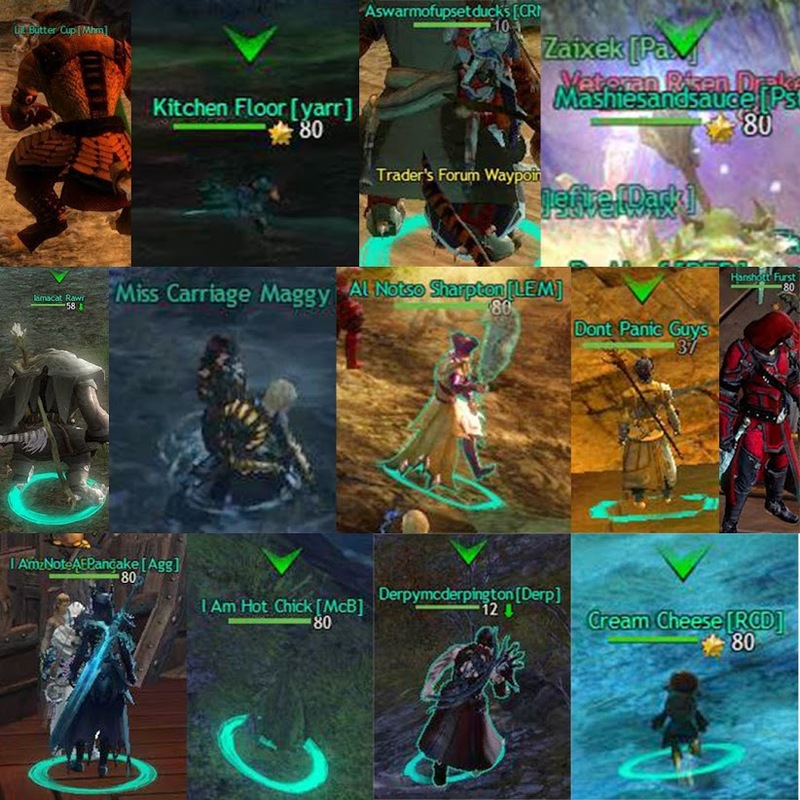 One particular type of screenshot that i love taking is of character names that catch my eye, and not in a good way. It’s more of a pet peeve than anything but i absolutely despise characters with terrible names. It’s an immersion breaking aspect for me, as silly as that may sound to some! I’m not sure what possesses people to not give a damn about their names but they constantly amaze me with their creativity and more often silliness. I guess i just don’t understand putting so little thought into something they’re going to be looking at for the next few years. I suppose they don’t care though, which is a shame in and of itself. 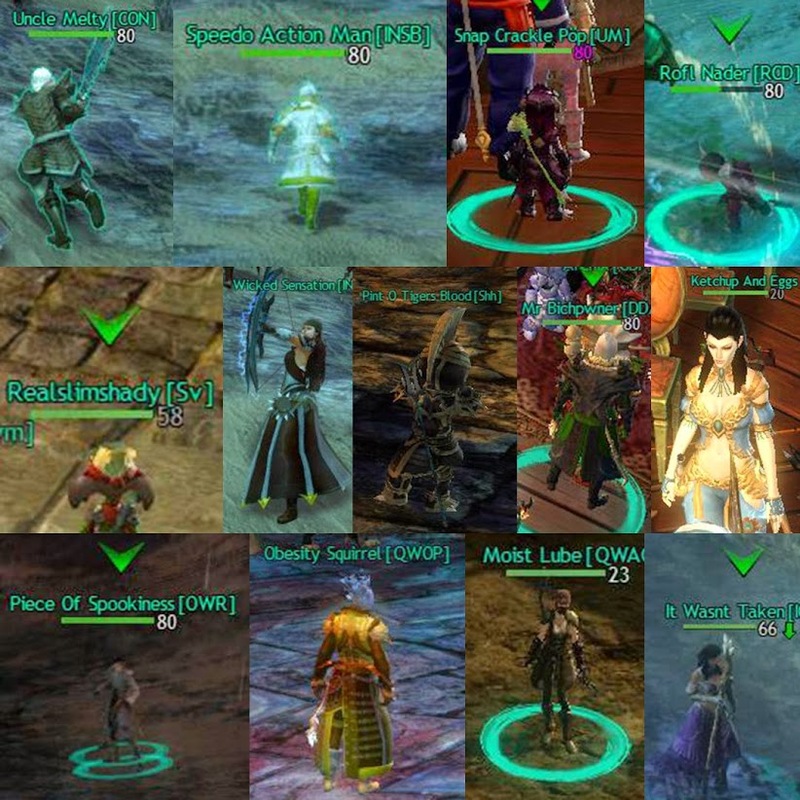 Despite not having played GW2 in over a year now, i amassed quite a collection during that time. Some of them are actually quite clever, to be honest, while some are down right stupid. I’ve posted these numerous times on our community forum but never on here for some reason. So here they are in all their glory. Which one’s your favorite? A couple of them seem so innocuous I'm surprised you included them at all. Binkles McStinkles isn't quite right for an Asura but it wouldn't look bad on a gnome and it would suit a goblin perfectly. Uncle Melty is fine (unless there's some brand of ice cream or something by that name that I never heard of – but then, if I never heard of it then it's still fine, I guess…). One thing that does mildly irritate me, and there are plenty of examples there, is when games allow spaces in names but players still run several words together. I do like to see names properly capitalized, too. I actually enjoy some of them for sure. 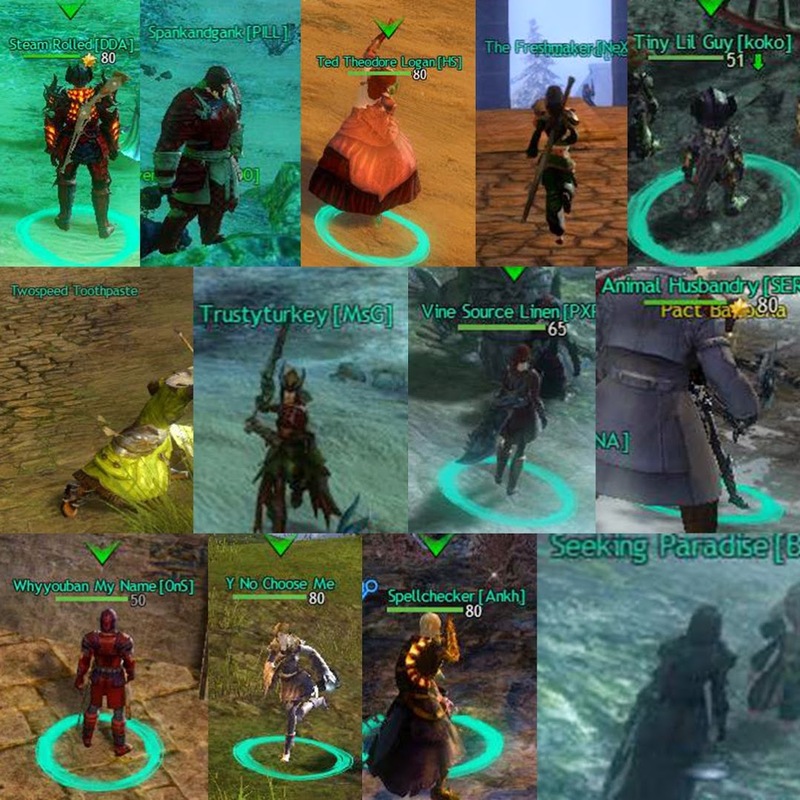 You're absolutely right about names and GW2 as well. My absolute favorite, which i wasn't able to grab a shot of, was “Squall Dicaprio”. I mean, i don't even know what to say to that!